As the hottest, driest week of the summer unfolds in west-central Montana, agencies at all levels will impose Stage 2 fire restrictions at 12:01 a.m. Friday. The wildfire danger is rated at “very high” to “extreme” throughout the region, and the National Weather Service has issued a heat advisory from 3 p.m. Thursday to 9 p.m. Friday for all of western Montana. Temperatures are expected to reach up to 106 degrees in the lower valleys, 100 in the mountain valleys and 90 at higher elevations. No rain is in the 10-day forecast. In fact, Friday will be the 38thconsecutive day with no measurable rainfall in Missoula. That’s the second driest July 1 to Aug. 10 since 1948. Smoking, except within an enclosed vehicle or building, a developed recreation site, or while stopped in an area at least 3 feet in diameter that is clear of all flammable material. Operating motor vehicles off designated roads and trails. Between 1 p.m. and 1 a.m., there can be no operation of any internal combustion engine, welding or operating a torch with an open flame, or use of explosives. During hours when such activities are allowed, a one-hour foot patrol in the work area is required once work has ended. Fires are allowed if they are solely fueled by liquid petroleum (LPG fuels) that can be turned on and off. But those devices can only be used in areas at least 3 feet in diameter that are clear of all overhead and surrounding flammable materials. The restrictions were issued by all federal, tribal, state, county and municipal fire protection agencies in west-central Montana. They apply to national forests, federal wildlife refuges, state lands, tribal lands, city and county open space land, and parks. Within the city of Missoula, the wildfire danger is categorized as extreme. Areas affected by the restrictions include city conservation and park lands on Mount Jumbo; Mount Sentinel, including the Cox Property; North Hills; the Kim Williams Trail; Greenough Park; and the Tower Street conservation area, as well as all other city conservation lands. (A city parks, trails and open space map is available online at http://www.ci.missoula.mt.us/468/available-maps. The printed map is also available at Missoula Parks and Recreation, 600 Cregg Lane. At the Northern Rockies Coordinating Group, restrictions coordinator Chris “CJ” Johnson said emergency responders have reported fire starts emanating from a number of unattended campfires so far this summer. That’s unusual, as most wildfires in the northern Rockies are started by lightning strikes. Thus Johnson’s appeal to all those venturing onto open lands to take extra precautions, given the ease with which wildfires are spreading through dry grasses. Cooler temperatures are forecast for the coming weekend, but high winds and continued dry conditions will continue, according to the Weather Service. “Any spark has the potential to ignite a wildfire,” Johnson said in announcing the Stage 2 restrictions. “Interagency fire managers understand that fire restrictions affect the public and refrain from implementing restrictions until they are determined to be necessary. 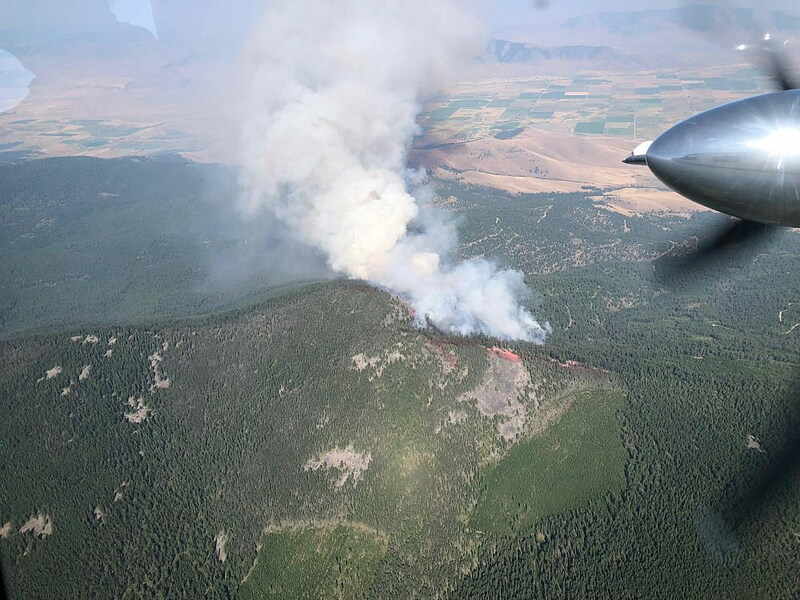 Fire restrictions are reevaluated by cooperating interagency fire managers each week and updated as the situation dictates.